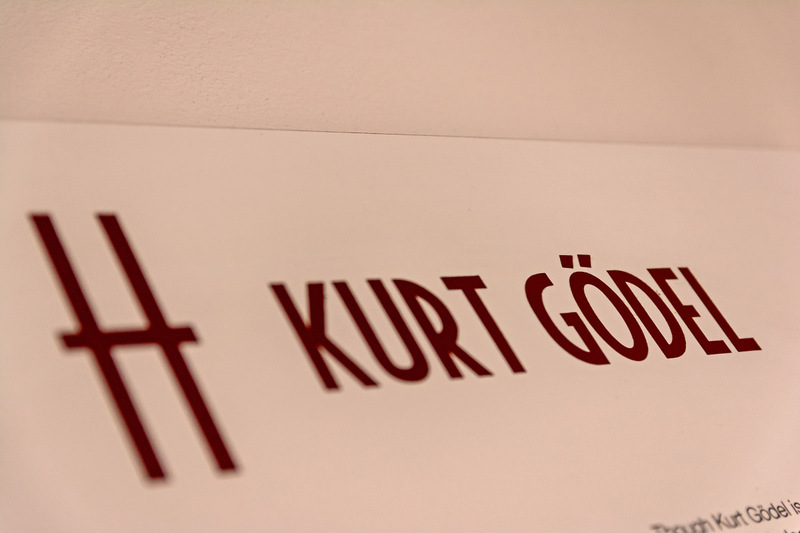 Stay in the room Kurt Gödel in Hostel Mitte Brno. Although Kurt Gödel is by far not as famous as for example Einstein, he was indeed one of the biggest geniuses of 20th century. He was born at the time of Austro-Hungarian Empire in Brno where he also spent his childhood. He studied mathematics and physics in Vienna and he concentrated on a rather new branch of mathematical logic. He achieved his first success as early as at the age of 23. His two incompleteness theorems published in 1931 were a real shock for the mathematic public as they meant a real turning point in previous understanding of mathematic in general. — In any effectively generated mathematic system propositions can be deduced whose truth cannot be proved or rejected by means of the actual system. — Such system is not able to detect or prove its own internal consistency. Mathematic systems are therefore incomplete in a way as they cannot prove their own truthfulness. Presence of uncertainty is thereof a non-removable part of mathematic. Gödel's theorems evoked heated discussions of scientists that go on till these days. The main matter of controversy is if the theorems also apply to other fields then mathematic – e.g. for human thinking, artificial intelligence or physical theory of cosmos. In 1930's Gödel lectured at the University of Vienna but in 1940 when Austria was under the thumb of fascists he emigrated to the USA. He then worked in Princeton for long years, first in the Institute of Advance Study, later as a professor at the Princeton University. At the same time Albert Einstein acted at Princeton, too, and it might have been their close friendship what made Gödel turn from the mathematic logic to problems of relativity theory and cosmology. He was charmed by one of the most complicated enigmas of physics and philosophy – question of the nature of time. In 1949 he was the first one to prove that equations of the general relativity theory allow real travelling in time. It brings alone whole lot of paradoxes: travellers in time could for example travel to past, kill their parents and prevent their own birth… One of the less known though the more interesting discoveries of Kurt Gödel is the ontological evidence of God. It is not usual that an unbeliever tries to prove such thing. At the end of his life Gödel turned prevailingly to philosophical and religious considerations but his late years were most of all marked by his growing madness. He periodically suffered on neurotic depressions all his life, at that time, however, they achieved critical dimensions. He had an obsessive fear of doctors and food as he was convinced that people wanted to poison him. In the end he stopped eating at all and he died on the 14th of January 1978 on complete malnutrition. His weight was 36 kg. The Time magazine ranged him to one of the top hundred thinkers of the 20th century.